Courtesy of RE/MAX Town & Country, Kevin Kernan. POPULAR BOWIE FLOOR PLAN – 3 BR & 3.5 BATHS – GUEST SUITE – GREAT LOCATION-Heart of HERITAGE RANCH – LARGE GARAGE 600+ SQ FT: HOME FEATURES: Elegant Master Suite, Full Guest Suite, Crown Molding, Abundant Storage, Numerous Closets. 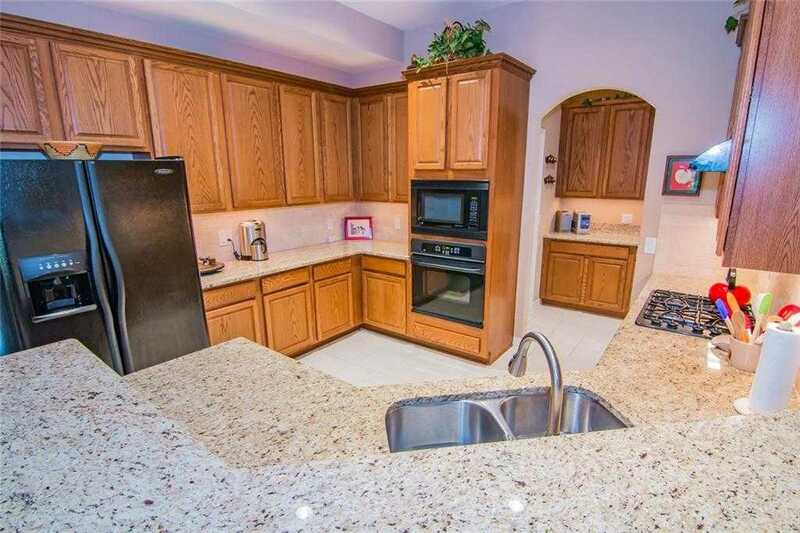 GOURMET KITCHEN: Granite, Gas Cook-Top, Bosch Dishwasher, Large WIP, Butlers Pantry, Double Pull-out Shelves, Over & Under Cabinet Lighting, Large Pantry. UPSTAIRS: Game Room, Large BR & Full BA, Walk-in Attic. PRIVACY LANDSCAPING: Large Covered Patio plumbed for Gas Grilling, Separate Walkway to Flagstone Extended Patio, Park-like Setting. OVER-SIZED GARAGE: 600+ Sq Ft, Like a Tandem 3 Car Gar. SYSTEMS: AC Coil 2014, WH 2015, Ext Paint 2017, Radiant Blanket Barrier, French Drains. © 2019 Jason Feller | Feller Realty. All Rights Reserved. Texas Real Estate Commission Consumer Protection Notice. Texas Real Estate Commission Information About Brokerage Services. Real Estate Website Design powered by Home Junction.